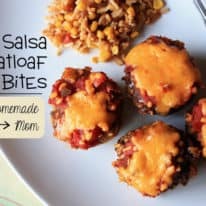 These Meatball Cheeseburger Bites are so fun! 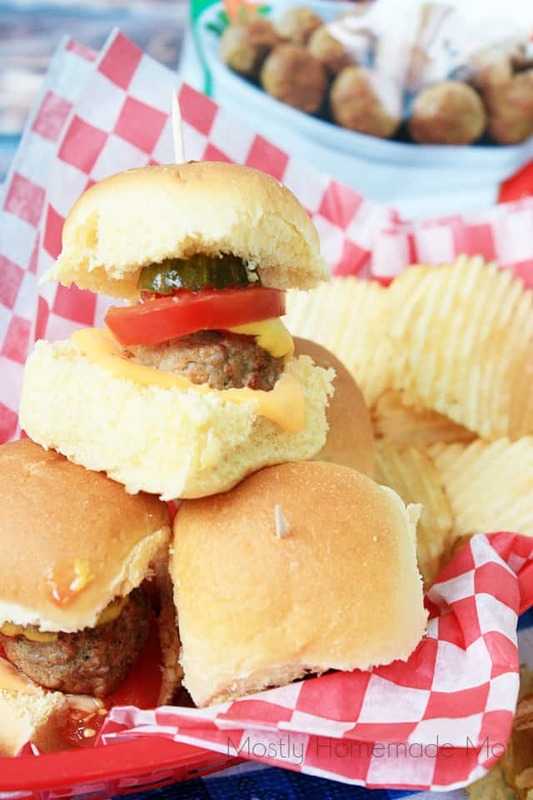 Delicious homestyle meatballs served on potato rolls with classic cheeseburger toppings – these little guys are great for parties, too! My two little boys have been out of school since Memorial Day. The whole year their school has been highlighting the word proactive with the students. 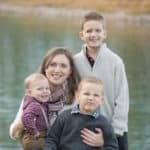 As the summer approached, I realized I needed to very much be proactive with planning our summer activities. And I am very happy to report that it has been going very well thus far! 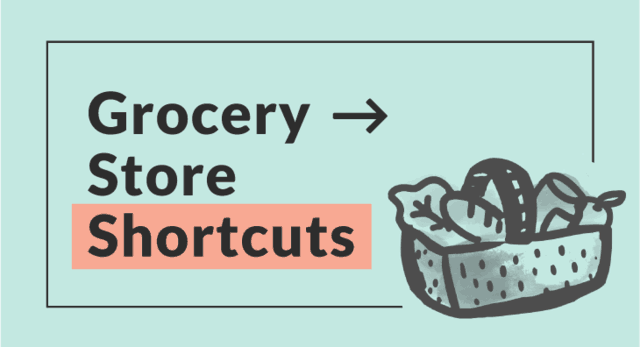 One of the things I knew I needed to be proactive about this summer was with our food. If we were going to be on an outing, are we bringing food or eating there? 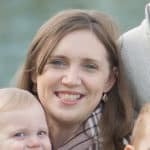 Will there be enough time when we get home for me to make dinner, or should I have something going in the Crockpot for when we get back? Planning our meals out for the week has DEFINITELY made things run much smoothly around here! 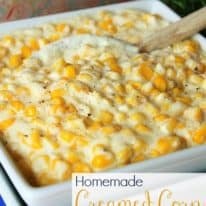 A great motivator for me, in regards to keeping up with meal planning, is thinking up some new and creative ways of serving our favorite foods. 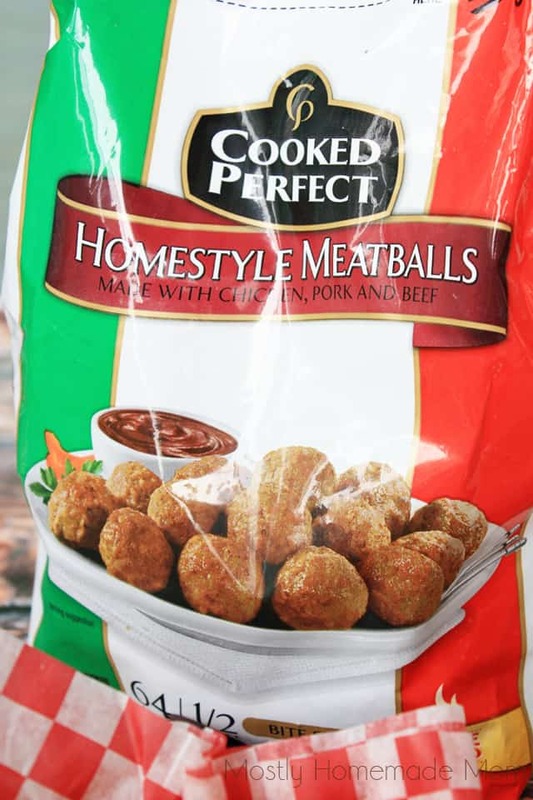 One product I always pick up while I’m at my local grocery store, is my family’s favorite Cooked Perfect® Meatballs. 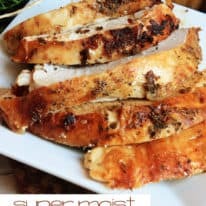 They are a great solution to busy summer days – plus with their quality of ingredients and flame-broiled cooking process, the flavor is out of this world! 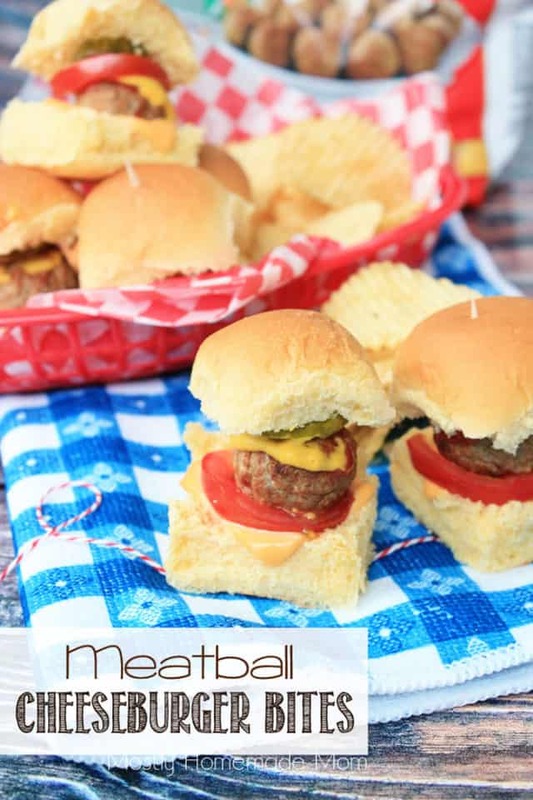 These Meatball Cheeseburger Bites are absolutely perfect for dinners, BBQs, and parties as well – we have a certain little boy’s birthday party coming up next month that these would be perfect for! 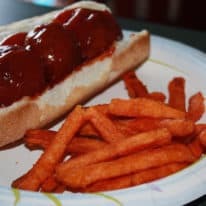 Cooked Perfect Homestyle meatballs served with melted cheese on split dinner rolls and topped with tomato, ketchup, mustard, and pickles. Place frozen meatballs on a cookie sheet. Bake at 350 degrees for 15 minutes. Separate party rolls and slice each in half created a top and bottom "bun." 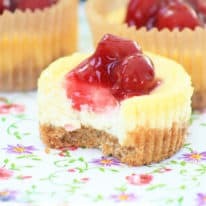 Place the bottoms of the rolls on a second cookie sheet and top each with a quartered slice of cheese. Bake next to meatballs in oven an additional 5 minutes or until cheese is melted and meatballs are cooked through. Assemble cheeseburger bites by topping each bottom bun with a cooked meatball, ketchup, mustard, tomato slice, pickle, and top bun. Secure with toothpicks and serve immediately. 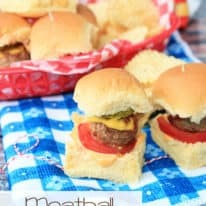 I used the typical cheeseburger toppings for these bites, but of course you can tweak them and serve each person’s cheeseburger bite just the way they prefer. Ripple potato chips were the perfect addition alongside these delicious mini cheeseburgers! I was so surprised to see that Cooked Perfect comes in a wide variety of flavors. 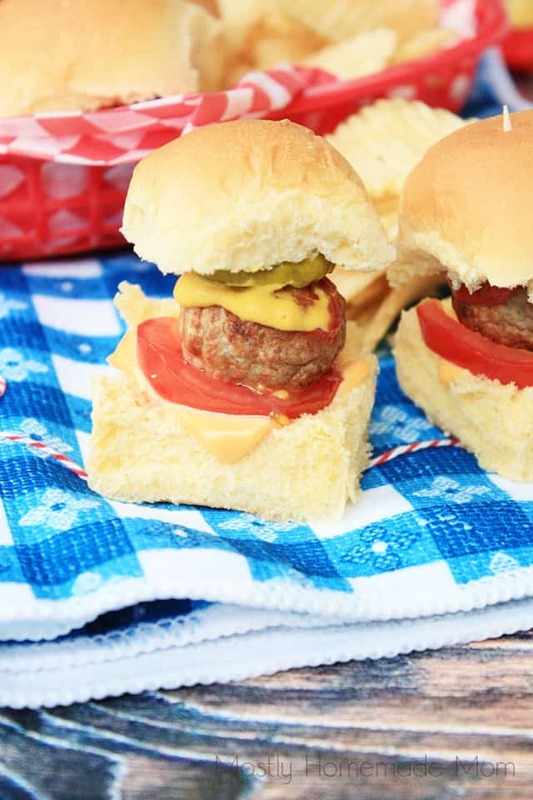 I can’t wait to try these Meatball Cheeseburger Bites with Angus Beef, Turkey, or the All Natural Homestyle varieties – doesn’t that sound delicious?! Cooked Perfect Meatballs are crafted using select meats, real cheeses, and savory herbs then flame-broiled to sear in the flavor. 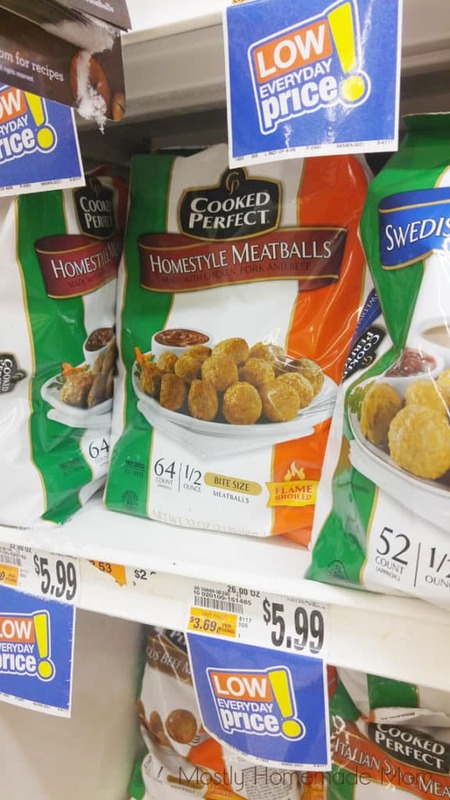 Find Cooked Perfect Meatballs in the freezer aisle of your local grocery store. Be sure to click here for more meatball recipes and a Cooked Perfect coupon as well. What are you planning on making next with Cooked Perfect Meatballs? Leave your recipe ideas in the comment section below!